Show your BFF some serious love (albeit temporary) with these tattoo Friendship bracelets. 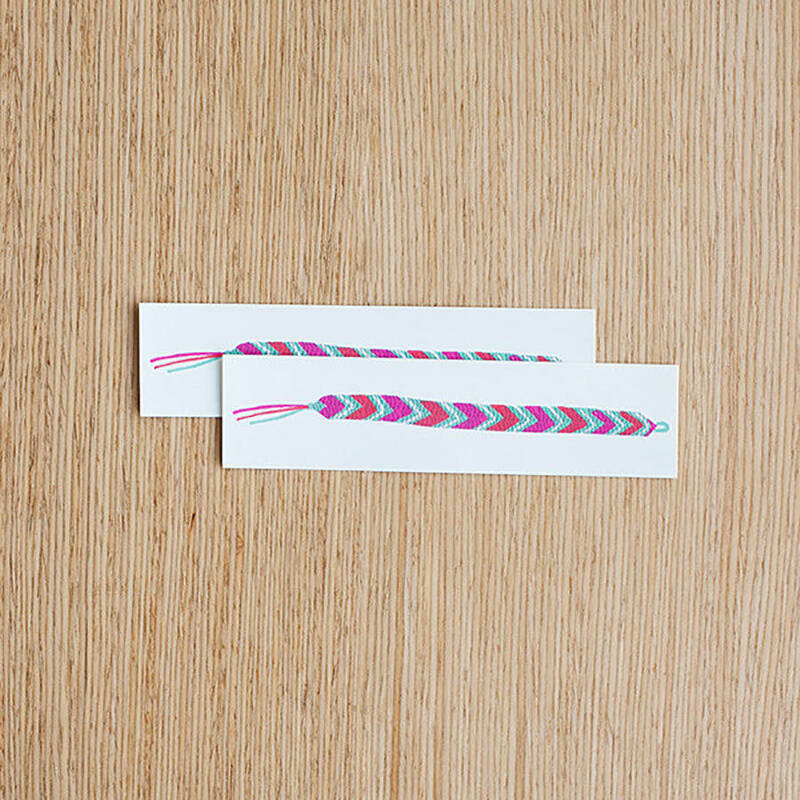 Whether it's for a friend, family member, partner or colleague, these Tattly temporary tattoo friendship bracelets are a lovely gesture to show that special someone you care. With two in a pack they are the perfect treat for you to share, keep one for yourself and give the other to your buddy. These friendship bracelets are the perfect size to send in a birthday card. Perfect for this seasons festivals! Please note that due to the nature of this product, this item can not be returned once opened. Safe & non-toxic and Printed with vegetable-based ink. The pack size is 12 x 5 cm. Each pack contains two bracelets. 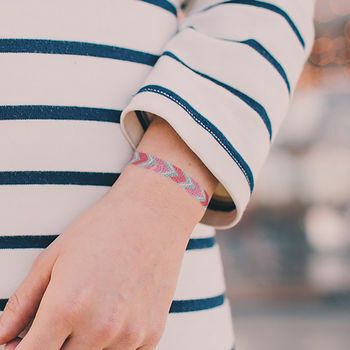 Photos by Tattly.